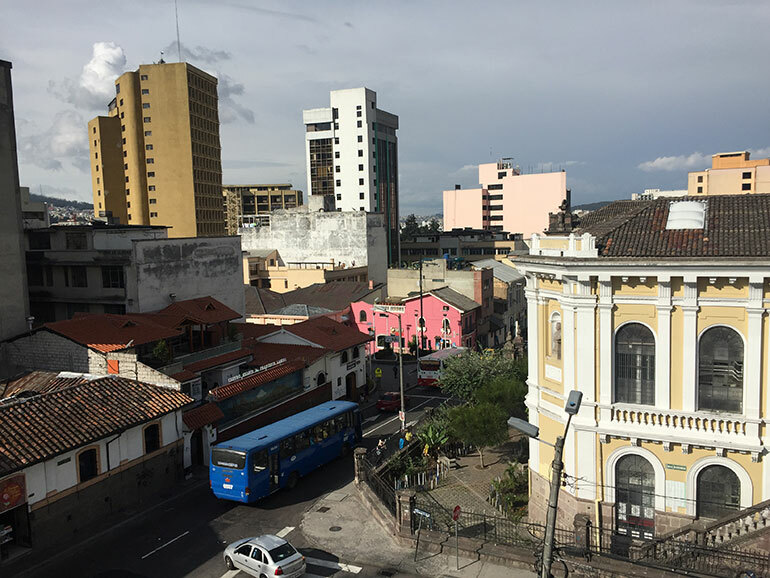 The New Urban Agenda was finalised at Habitat III which took place in Quito, Ecuador, in October 2016. In 2016, cities and regions around the world have become significantly more active in discussions over climate change mitigation and urban development strategies. This is in part following increased ambitions of Mayors and city leaders, and in part the need to develop strategies to implement the Sustainable Development Goals and the New Urban Agenda. This was not least reflected in the representation at the COP21 in Paris 2015 and at the Habitat III summit in Quito in October 2016, by several contingents of cities and Mayors. Mistra Urban Futures has followed and supported this development, including participation in various conferences and events during the past couple of years. Mistra Urban Futures was recognised as one of the major actors in the preparations for the Habitat III summit, where Centre Director David Simon took an active part in the drafts for the New Urban Agenda, as well as in the positioning of the scientific community, not least through a comment published in Nature called ‘Scientists must have a say in the future of cities’. Besides the more specific urban goals expressed in the Global Goal 11, ending poverty and mitigating and adapting to climate change are two of the most important global challenges that sustainable urban development is based on. The work of Mistra Urban Futures contributes to solutions and new knowledge that feed into the global and national strategies and objectives, including the Sustainable Development Goals. In order to end poverty and create a sustainable urban future for 3 billion people in just a few decades, collaboration and engagement to build on new knowledge are necessary. Sida funding makes it possible for Mistra Urban Futures to focus on poverty reduction issues, locally as part of urban frameworks, such as urban food systems, the creation and development of labour markets, such as tourism, and the causes and possible strategies to decrease urban inequalities. Within the collaborative framework of Mistra Urban Futures research, these are high priority issues, the Local Interaction Platforms in Cape Town and Kisumu are the two main hubs of the Centre for poverty reduction activities, research and knowledge dissemination - practical as well as academic. One half of the world’s population lives in cities and urban areas and maybe as much as two thirds of the emissions of greenhouse gases comes from cities. Add to that the challenges of rising sea levels and extreme weather events, and the connection between sustainable urban development and climate change becomes a highly significant issue. The engagement in the development of the Urban Sustainable Development Goal (Global Goal 11) and the New Urban Agenda provides and extraordinary position for Mistra Urban Futures to also take proactive parts in the implementation of the Goals and the Agenda. The reports and articles following the pilot project concerning targets and indicators for the Urban SDG in 2015 are published and forms part of what may become important support for strategy decisions, locally in cities as well as globally in the UN system. A comparative project among several cities started 2017, involving all Mistra Urban Futures platforms. The New Urban Agenda adds the dimensions of collaboration between stakeholders, thus strengthening the foundation for research involvement in the processes of creating pathways to sustainable urban development and just cities. To this end, Mistra Urban Futures has taken more active part in various networks for learning and dissemination of knowledge, such as the World Urban Campaign and other networks of Mayor and cities.